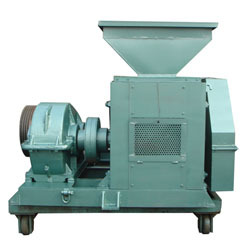 Briquette machine is also called briquette press machine. 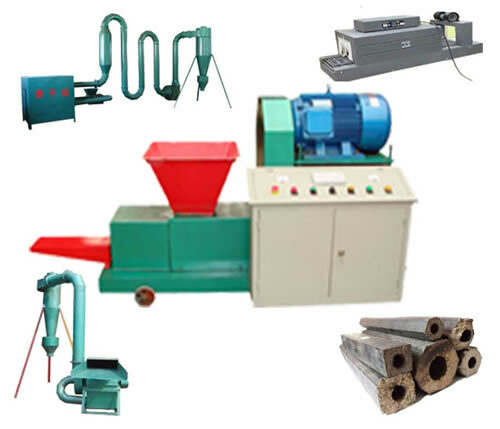 This hydraulic briquette machine can briquetting all kinds of wood wastes, straw stalk, straw residues, wasted papers, wasted clothes, wasted plastics and other wood or biomass wastes to large masses. Finished briquettes are high density bioenergy products which can be processed into rectangle, octagon, hexagon, round, and various other of shapes. The straws left in the field used to be worthless, later it become raw material for feed pellet and biomass briquette productions, is there anything else can be produced out of it? The answer is definitely yes, one biomass tech company in China did a full experiment by deep processing straw, and you couldn’t know how many different products can be made out of this single raw material.Since the tech details of the processes are not published, there are only the test results and some related info of this experiment. In this test, approximately 10 kg of wood tar, 30 kg of wood vinegar, 800 cubic meters of gas and 0.6 tons of straw carbon are produced out of per ton of straw. The wood vinegar and cubic meters can be used in the production of disinfectants, preservatives, pesticides; the left residue can be made into charcoal product-biomass charcoal briquette: the heat value of 2 tons of straw charcoal briquette is equal to 1 tons of standard coal, or it could be used in fertilizer production; the gas produced in the processes contains Nitrogen, methane, carbon monoxide and hydrogen, it can be used provide heat and power. With the deep processing technologies of straw becomes mature, the economic value of straw will be increased, so is the profitability of the straw processing. On April 18, 2013, Environmental Protection Office of Sichuan Province hold a meeting on the topic of utilizing straw and forbidden straw burning, and Chengdu, Deyang, Mianyang, Meishan, Ziyang had come to the agreement of utilizing straw and forbid individuals straw burning. The governments would help the famers to change their opinion, to achieve the goal of famers utilize straws spontaneously other than being forced. Straw can be utilized in many ways: straw fertilizer, animal feed, the base material, raw materials, briquette fuel. 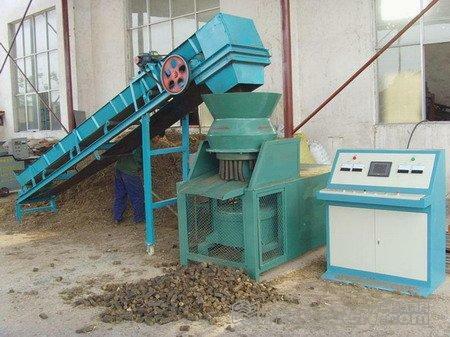 In order to accelerate the process, local governments would provide subsidy to the farmers in buying large equipments in harvesting and packaging straw, for example: the packaging machine and biomass briquetting machine, etc. There will also be a cut of the transportation cost and low interest loan to the biomass straw related industry. Some large daily chemicals corporation has made plans on buying tons of straws, after carbonization, they could be made into many charcoal products. The farmers would also make a promise on not burning straw by the fields. This is a very smart move of the government, by uniting the information of 5 different places, the utilization of straw would be much more efficient than before, the other provinces of China could do the same to make the air quality improved a lot in the year of 2013. The garbage that disposed by people in cities are transported to the transfer station, then to the landfills, this is the most common way in many countries, while one problem that caused by the growing population is more garbage is produced each day, the landfill wouldn’t make the garbage degrade faster, so burning them for electricity generation becomes a very good option, and it seems to be a perfect plan. While in most of the garbage burning power plants, garbage burning has caused serious air pollution, one toxic gas is called dioxin, it’s chemical status is very stable, it is hardly dissolved in water but very easily in organic solvent, when it is breathed in by one man, it could stay for 14 years in the body and cause serious health problems. Is there a solution to this problem? The key is in garbage classification, a well designed garbage power plant shouldn’t be burning all kinds of garbage, some garbage has to be picked out for other proper treatment, especially the ones that create dioxin, and one disadvantage of garbage power plant is that the heat efficiency bounces due to the garbage quality. Use the biomass matters in the garbage to make briquette would solve the problem listed above, the heat efficiency would be easy to control; there will be no pollution to the air to endanger people’s health; the stove equipment’s service life time is increased. By working together with the biomass briquette plants, the garbage power plant will go further and faster. The first doubt for people who hasn’t used straw briquette before is what if there is smoke created by the burning briquette, where does this idea come from? It is from their memories of suffering the smoke caused by burning the straws in the fields. The straw does contain some impurities that are more likely to cause smoke, but the amount of smoke could be prevented very easily, and the smoke is in very small amount. The smoke caused in the fields is due to 2 reasons: incomplete burning and the high water content in the straws, moisture in the earth would worsen the smoke conditions. Before the briquette production, the straws have to be dried first, the proper water content in the straws could help the fiber and lignin to combine together better, and to lower the smoke amount during the burning. In the stoves and fireplaces, straw briquette gets burned completely with very little smoke created, especially in the biomass stoves. The Chinese Import & Export and Commodities Fair, also known as the Canton Fair, is held twice a year in Spring and Autumn. 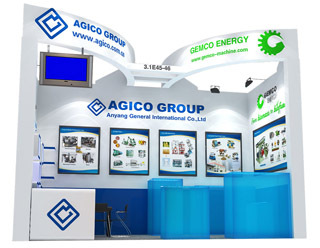 It is China’s largest trade Fair of the highest level, of the most complete varieties and of the largest attendance and business turnover. Preserving its traditions, the Fair is a comprehensive and multi-functional event of international importance. Fifty Trading Delegations, being composed of thousands of China’s best foreign trade corporations (enterprises) with good credibility and sound financial capabilities take part in the Fair. 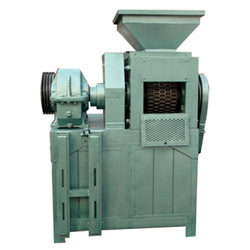 The sugarcane bagasse charcoal machine has gained popularity because of the many benefits that the consumer will have the privilege of enjoying after its purchase. First and foremost, this machine is durable. Though you might need a considerable amount of money initially to acquire it, you need to realize that it could serve you for several generations to come. Some people tend to avoid this essential machine simply because they do not wish to spend. A number of them are forced into buying used sugarcane bagasse charcoal machines on the pretext that they are cheaper than the new ones. Finally, ensure that the machine is well tested too. The need to conserve the environment has activated man’s innovativeness so much that he is coming up with equipments almost on daily basis. This is happening as an immediate response to the challenges and problems that man meets daily as he interacts with other human beings and nature around him. The slow jerking biomass extruder is a true testament of man’s ingenuity that is driving him into invention of gadgets that will begin to reverse the trend of environmental pollution. People who do not know the importance of the slow jerking biomass extruder could easily dismiss it. However, when they get into deeper details of the capabilities of this machine, they will discover that its inventors deserve several rounds of applause. It will be prudent if you could spend your spare time so that you can study this machine so as to understand how it works and the kind of value that it adds. 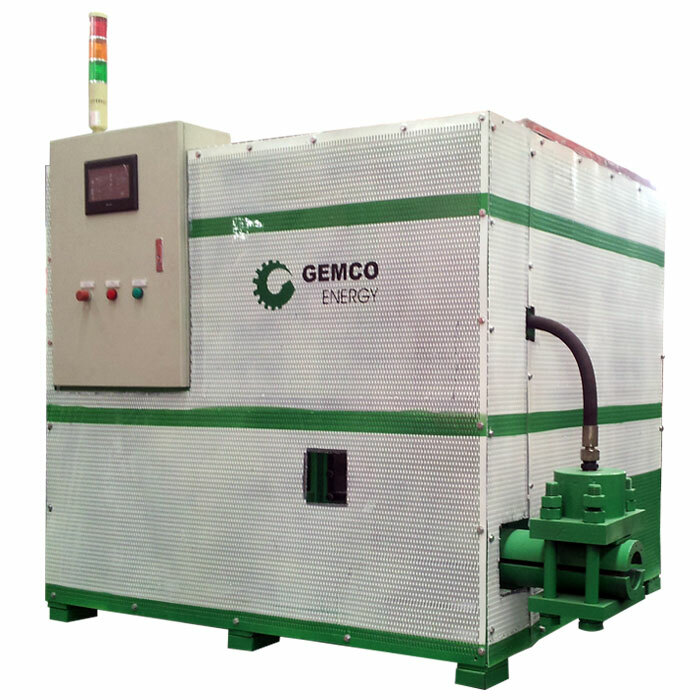 It does not matter whether you are into the biomass production business or not; you need to be conversant with this vital and special equipment. Even if you do not apply that knowledge in your home or workplace, you could guide another person. This info is only a click of the mouse away! It is one thing to have the best home made briquette press and it is yet another matter altogether to know how to operate it. Some people say that provided the machine comes with an easy-to-follow step-by-step manual, they will be able to operate it. 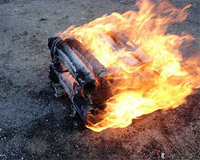 It may be possible for you to use it but it could be impossible to produce the kind of briquettes that you desire. It is recommended that you undergo some form of training on how to use and maintain this equipment so that you are not only able to use it for the long-term but also produce excellent briquettes for domestic and commercial use. Some people will say that they do not need to invest in the production of high quality briquettes when they are producing them for domestic use. Such people need to understand that cultivating the discipline of producing the best products is important. You never know; perhaps at some point you might change your mind to want to acquire another bigger and better homemade fuel briquette press so that you can start manufacturing briquettes for sale. It might take you some time before you start creating the best and excellent briquettes because that probably has never been intrinsic to your character. 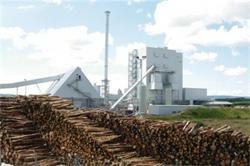 Germany has also proven to be a force to reckon with in the production of biomass briquetting press. The entire country has realized that it can not be left behind yet the international community is trying everything within its power to ensure that the environment is protected. 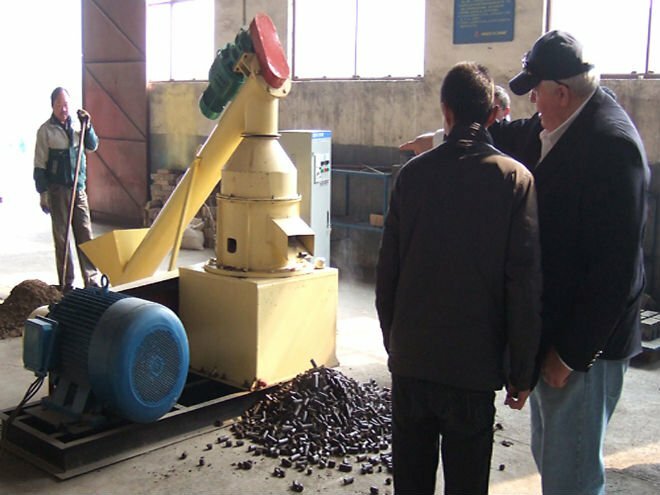 There are various biomass briquetting press manufacturers in Germany which are more than willing to help you in any biomass briquetting needs that you have. It is understood that the demand for biomass briquettes has risen to unprecedented levels. Biomass briquette presses are no longer the preserve of the poor or the rich; everyone wants to have them. While some people are turning to biomass briquetting press manufacturers in Germany to purchase their equipment for commercial use, others would love to have these machines so that they can produce the biomass briquettes on their own. Although the latter seems to be cost effective, it requires a great deal of discipline and time to be able to manufacture the biomass briquettes consistently and sufficiently. In the event that you are not available to do it yourself, you may consider hiring and training someone to be doing it on your behalf. However, if you are not able to, just buy from a reliable briquette manufacturer.